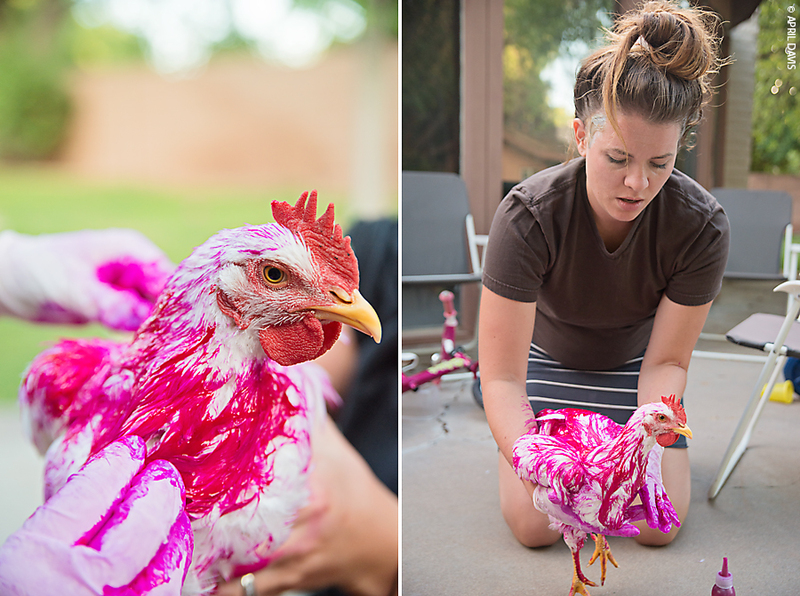 That’s right, we dyed a chicken. It just made sense? 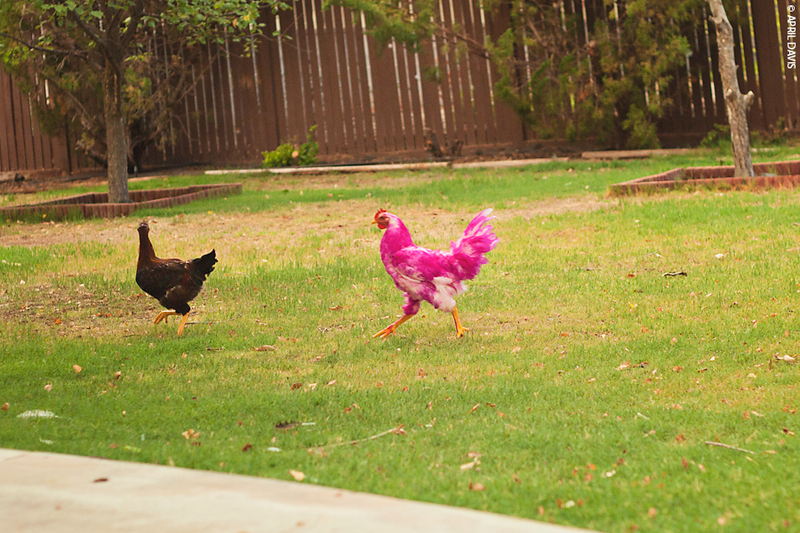 Our good friends have a habit of dying their darling poodles mohawk pink and decided to pink it up while visiting recently. Things escalated quickly. Next thing we knew parts of my head hair were being bleached along with everyone else’s. 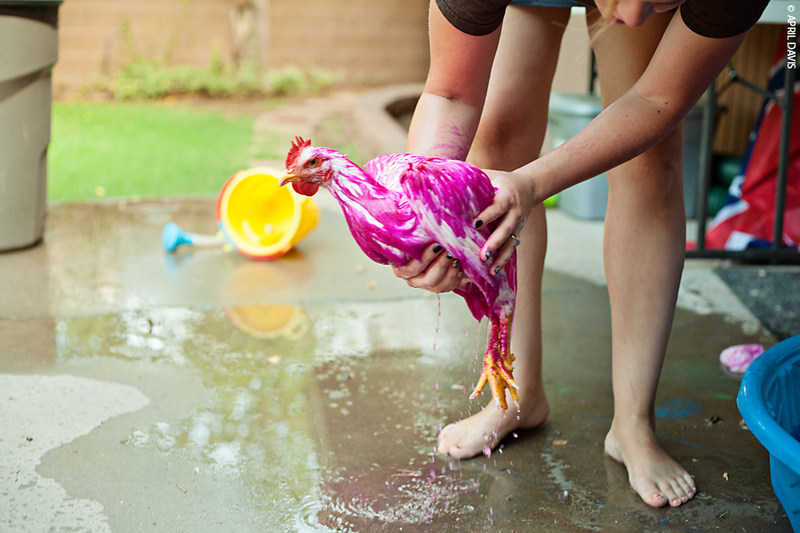 Also, we dyed the one white chicken we own. 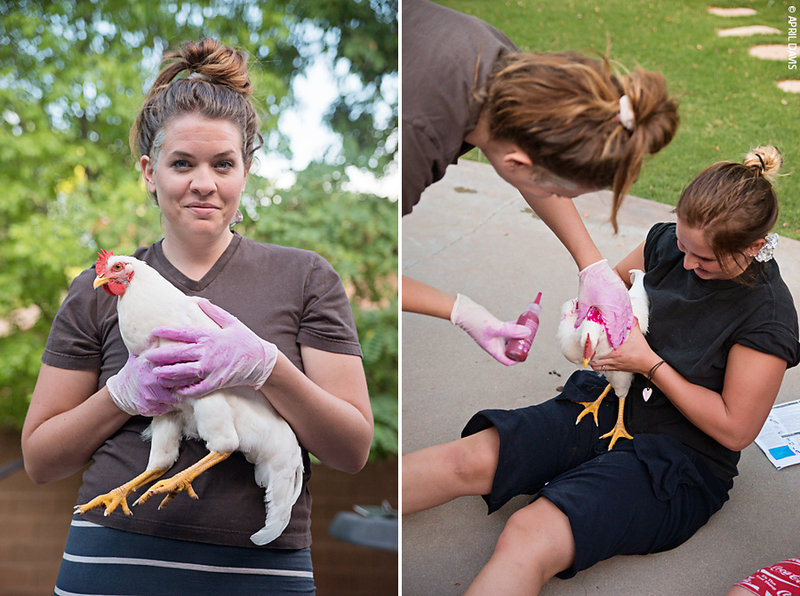 Initially the other chickens shunned her. Then they feared her. Now they respect her. 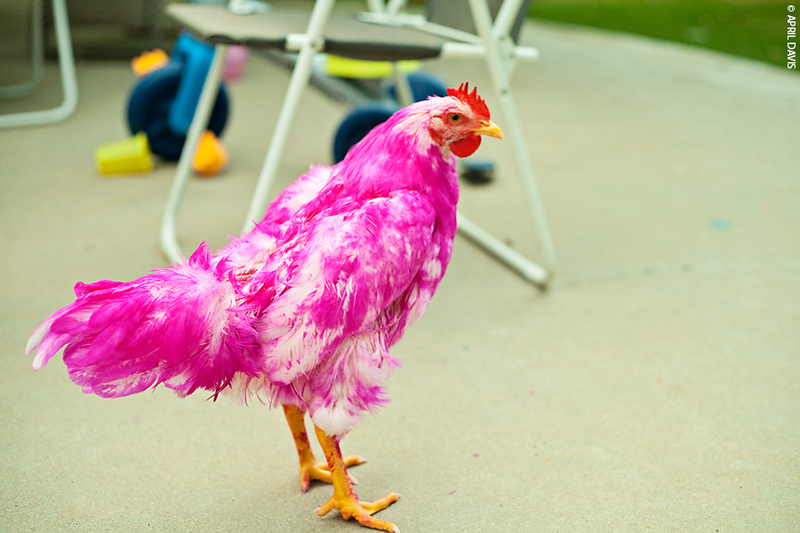 We have a pink chicken. 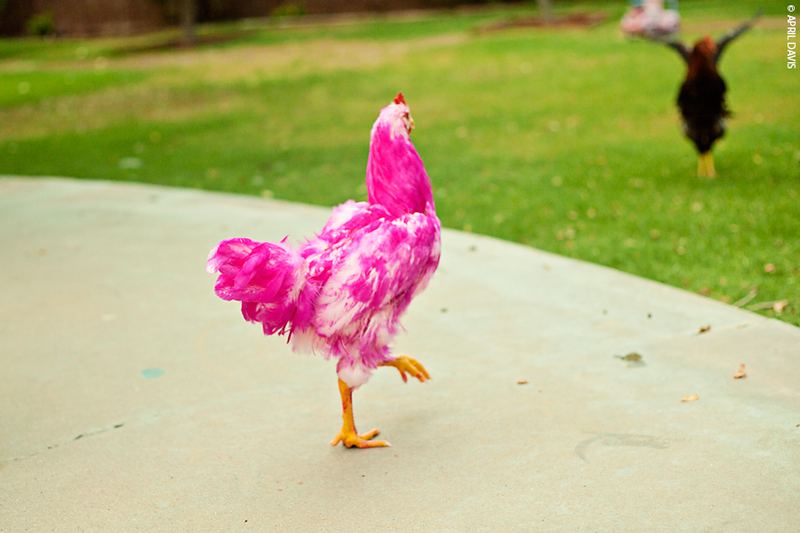 We used the supreme-high-quality-first-pink-dye-we-could-find-at-wal-mart stuff. It worked amazing. 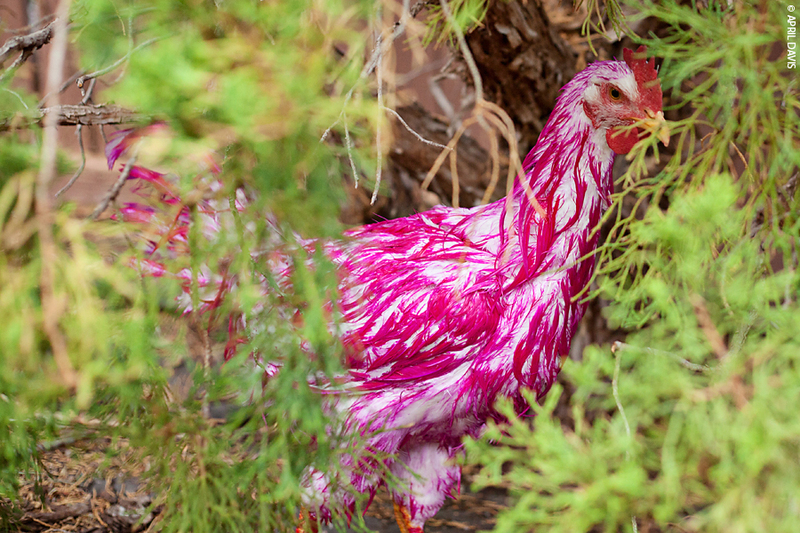 To date I think this is the most vibrant pink dye I have ever seen. 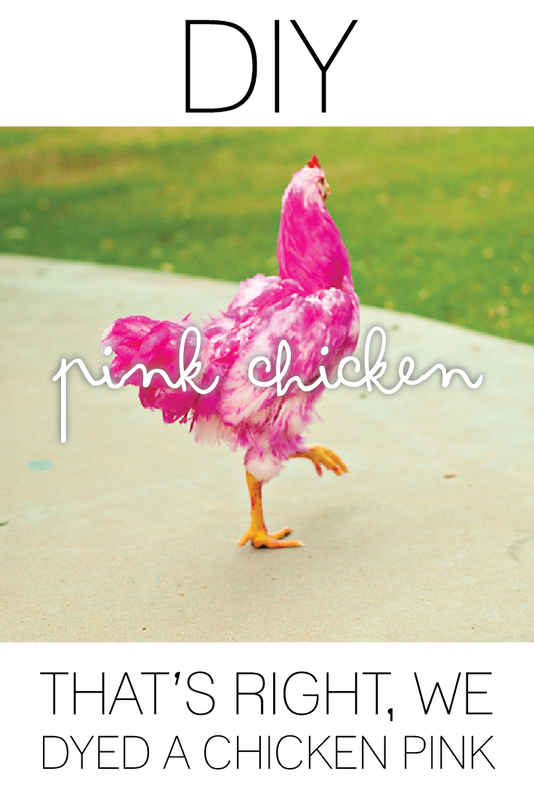 And I’ve used some pink hair dye in my day. Also didn’t seem to mind TOO much what was going on. It wasn’t until we let her go that she became really upset. 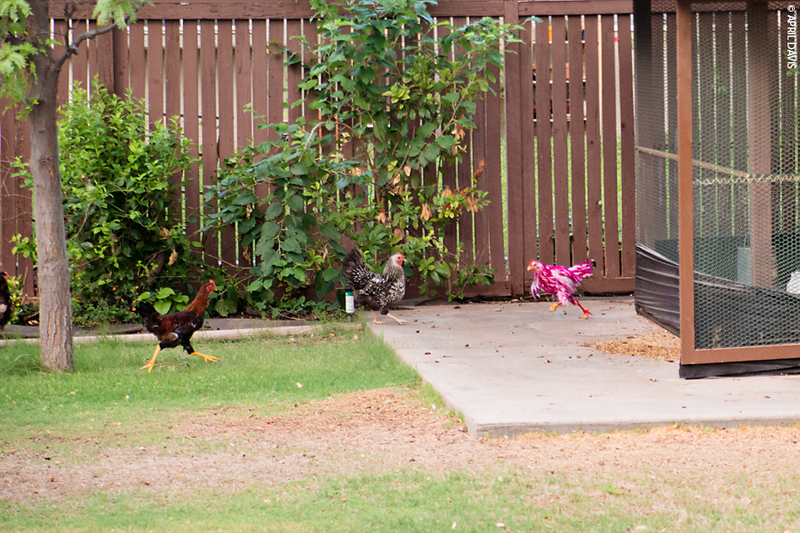 The other chickens were super rude and immediately started picking on her. Jealous birdies. Not that she really camouflaged before but…. We rinsed her in a kiddie pool and she stared shivering!! It was the saddest and cutest thing. She’s so tiny when she’s wet! 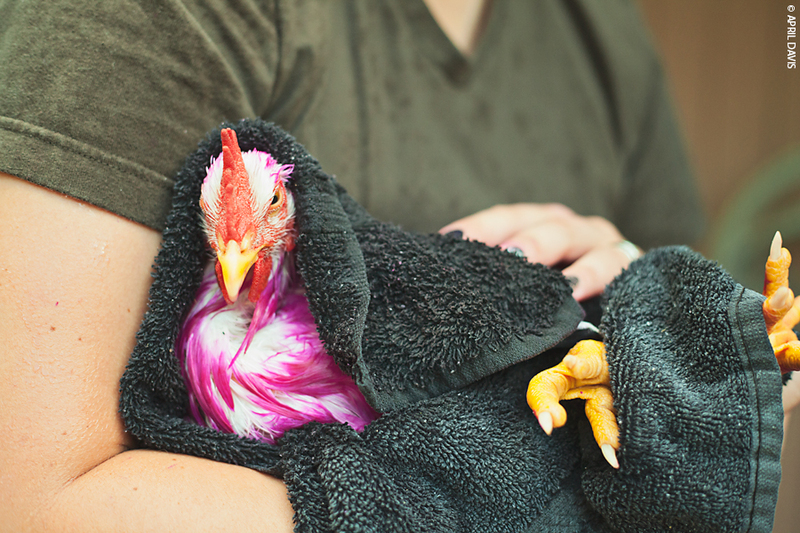 I snuggled her up and took her inside to shower. 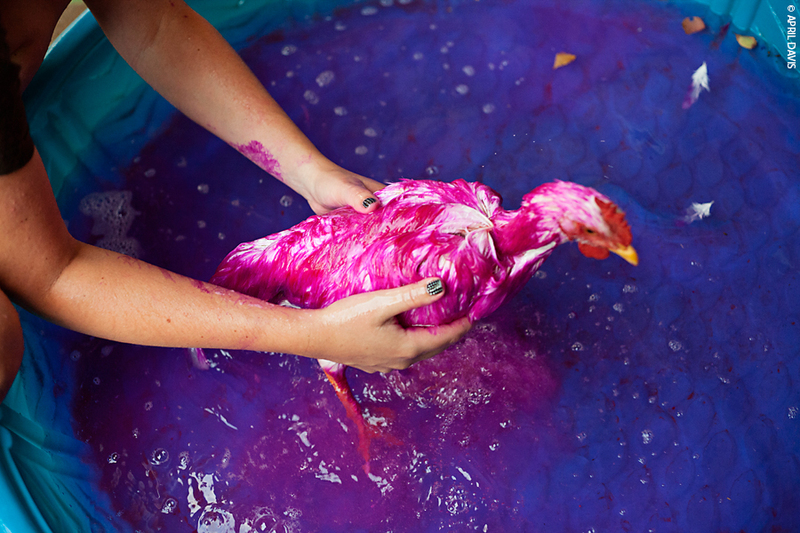 There was SO.MUCH.DYE. It took a long time for the water to run clear but I wasn’t about to have her ingesting dye. I love my birdie. 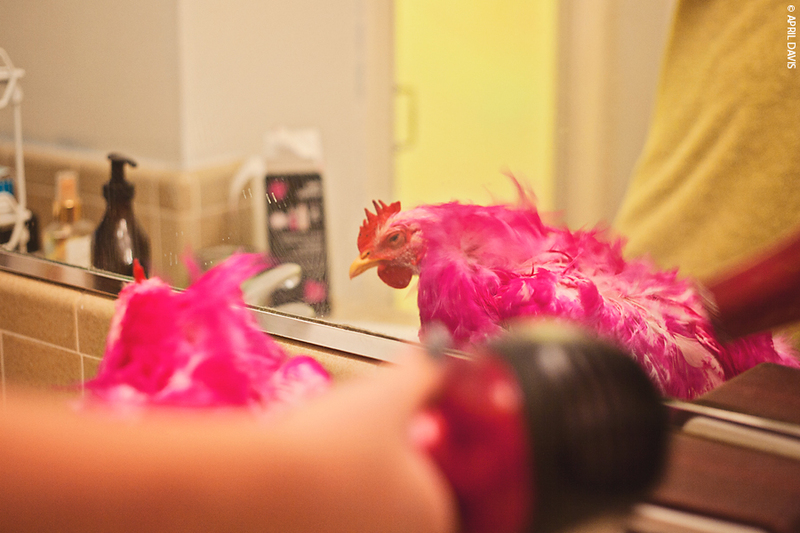 Surprisingly enough chickens love being blow dried!! She sat their happily closing her eyes and enjoying thw warm air. Almost dry and looking vibrant.